When my brother and I were about seven years old, my parents decided to convert our backyard sandbox into a miniature strawberry patch. Considering that no one in my immediate family was (or is) much of a gardener, this was a pretty big deal. At that point, the closest I’d ever come to home-grown food was the handful of gnarly apples that our ancient little tree managed to produce every other year and the crazy mass of rhubarb that grew around our sandbox-turned-strawberry-patch. Compared to our across-the-street neighbors’ perfectly trim, maintained vegetable garden, our 3’x5′ strawberry box wasn’t exactly impressive, but that didn’t stop my brother and me from running out to the yard every day to check on our strawberries’ progress. The first few years were pretty disappointing…only a couple of teeny-tiny (yet sweet!) berries appeared among the leaves, which we quickly gobbled up. Each year seemed to be a bit better, though, and by the time we put our house up for sale in 2003 our strawberry patch had quite a few juicy red berries to boast. Of course it happened that just when our little plant was starting to thrive we had to pack up and leave….but isn’t that the way it always seems to go? Sigh. Still, even those tiny red sandbox strawberries taught me an important lesson…garden-grown produce is not in the same league as store-bought. Not even close. It goes for anything: berries, tomatoes, lettuce, beans, carrots, you name it! I love this time of year when the farmer’s market is in full swing and our green-thumbed friends and neighbors gift our family with “real” fruits and veggies. It’s also the time of year for blackberry picking, one of my favorite parts of summer! When we first moved to the area and discovered it teeming with wild blackberry bushes I was beside myself with the excitement of berry-picking. I loved the rustic feeling of heading down the driveway with a bucket swinging from my hand, plunking in berry after berry to the point of near-overflow. I never minded all the scratches that covered my wrists and shins after a session of blackberry picking; it was all worth it to get that perfect patch of berries tucked among the thorns. I always felt a little like Laura Ingalls Wilder, collecting a bounty of wild blackberries to bake into pies and eat over porridge (aka oatmeal). To this day I’m still a berry-picking fanatic. I often venture down to the best bushes on our road after dinner and fill a bowl or two with ripe, gigantic blackberries. Secretly I love to close my eyes and just breathe in the smell of them. It brings back a flood of memories of hot summer days at our county fair, pie-baking with my friends, and squeezing in one last trip to the bushes on the night before the first day of school. This year I went a little crazy and had to fill three gallon-size ziplock bags with blackberries to freeze since there’s only so many that my family can eat up while they’re fresh. 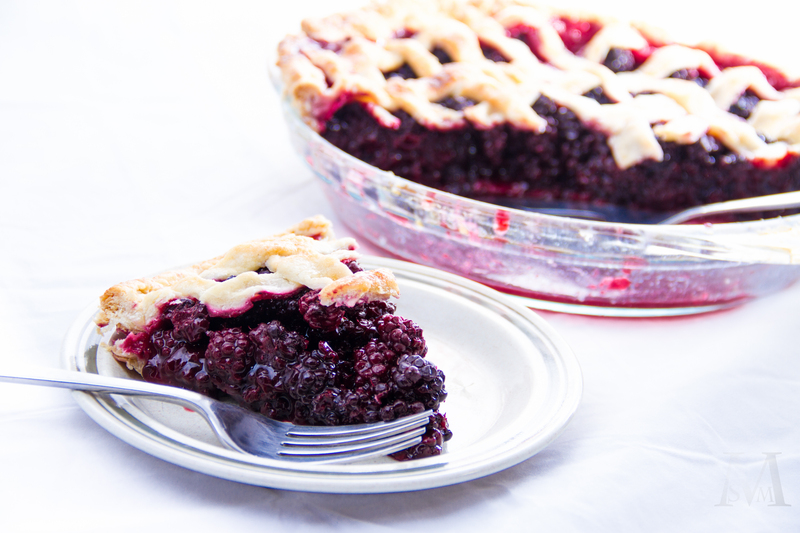 I also made sure to bake a blackberry pie, which my dad has deemed his favorite pie in the world. 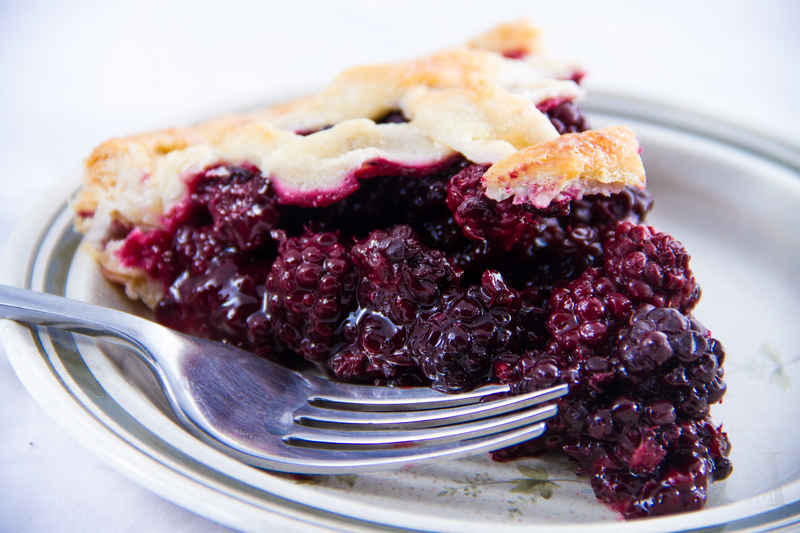 The quality of a pie is largely determined by the quality of the fruit inside it, and that’s what makes my wild blackberry pie extra-delicious. I never buy blackberries from the store since they grow so plentifully around here, but earlier this year I had store-bought blackberries at a friend’s house and was shocked by the difference in flavor. All I can say is that those seedy little berries in the plastic containers are not real blackberries. Wild blackberries are so much sweeter, softer, juicier, and more fragrant that I can’t even think of them as the same fruit. Sorry to diss the store-boughts, but it’s the cold hard truth! 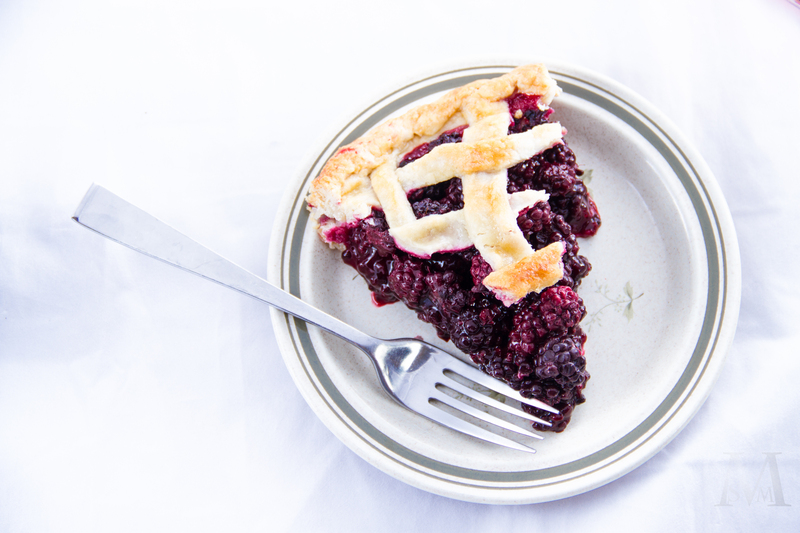 While I’ll never say no to a fresh blackberry straight off the bush, sprinkled into a fruit salad, or served over vanilla ice cream (gah), they really shine in this pie. The filling is kept simple to let the blackberries dominate, but the flavors of bright lemon and warm vanilla add a perfect little enhancement to the sweet berries. This recipe also uses tapioca starch (tapioca flour) to thicken the filling. I like the mild, slightly-sweet flavor of tapioca better than cornstarch, which has a more “starchy” taste, but you could always substitute it in a pinch. I’ve never been a pro at making pie crust (far from it, in fact), but this crust was surprisingly easy to work with. It’s an all-butter crust (yay for flavor! ), and as long as you make sure that your ingredients are extremely cold and you’re careful not to add more water than necessary, you’ll end up with tender, flaky crust. I used to take the shortcut of buying a pre-made Pillsbury pie crust, but homemade is so much better. 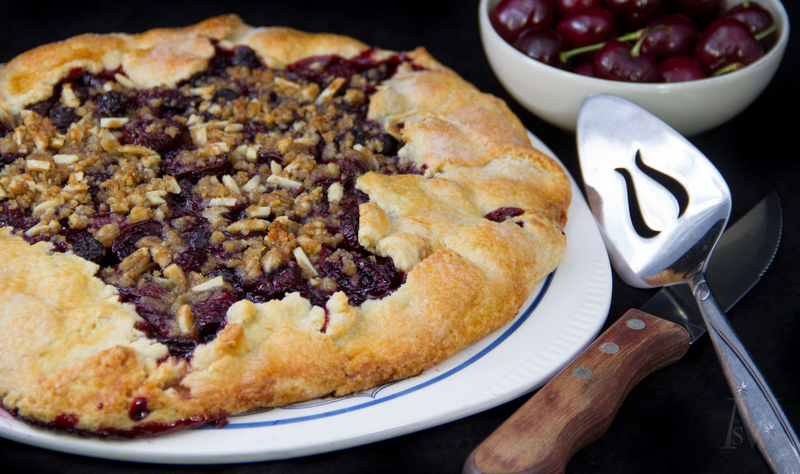 If you’re willing to brave making your own crust, I promise the end result will be worth the time and effort! Place the flour, salt, and 1 tsp sugar into a food processor* and pulse once or twice to combine. Add in the chopped butter and process for about 10 seconds, or until the mixture resembles coarse crumbs. Pour the water through the food chute 1 tablespoon at a time, pulsing 2-3 times after each addition. As soon as the dough starts to stick together, pat it into a ball. *If you don’t have a food processor, simply whisk together the dry ingredients and then cut in the butter using a pastry cutter or two forks. Sprinkle the water in 1 tablespoon at a time, tossing with a fork after each addition. When the dough sticks together, pat it into a ball. Divide the dough ball in half and flatten each half into a thick disc. Wrap in plastic wrap and chill for at least 1 hour. When ready to make the pie, preheat the oven to 425 degrees F. On a floured surface, roll out one of the pie dough discs into an 11-inch circle, then carefully transfer to a 9-inch pie plate. 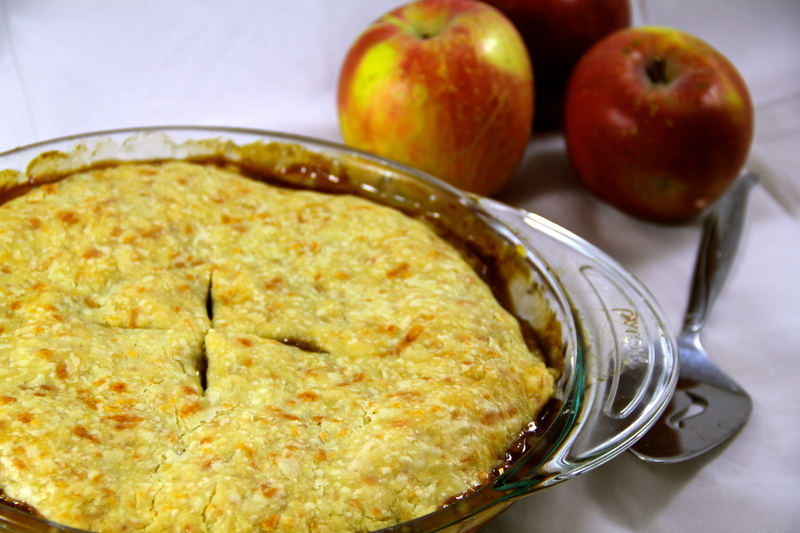 Gently press the crust into the pan and refrigerate while you prepare the filling. Place the blackberries in a large bowl and sprinkle with the tapioca starch, sugar, lemon juice, lemon zest, and vanilla. Gently fold or toss the mixture until the berries are coated. Let the berries macerate (release their juices) while you roll out the second pie crust. If desired, cut the dough into 1/4-1/2″ strips for a lattice crust. Take the pie plate out of the fridge and brush the bottom crust with beaten egg. Spoon in the berry filling and top with the second crust. 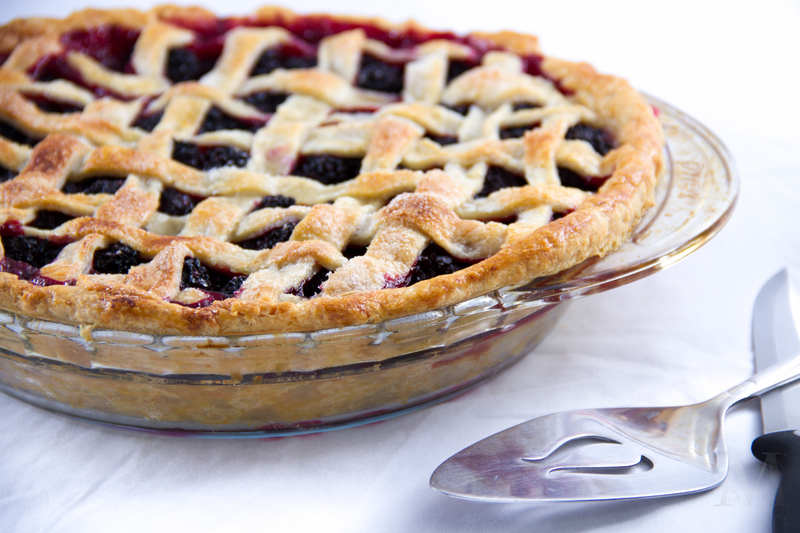 If you’re making a lattice crust, weave the strips of dough onto the pie and smooth out the edges with your fingers. 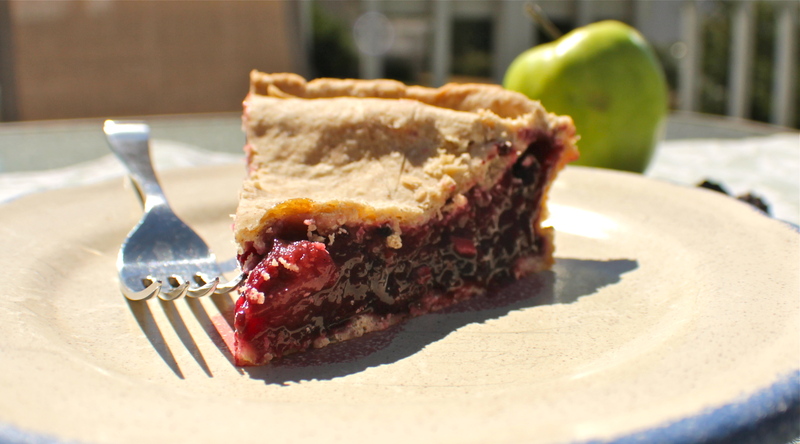 Cut off any excess pie dough around the sides, leaving enough overhang to crimp the edges. Brush the top crust with the remaining egg and sprinkle with sugar if desired. 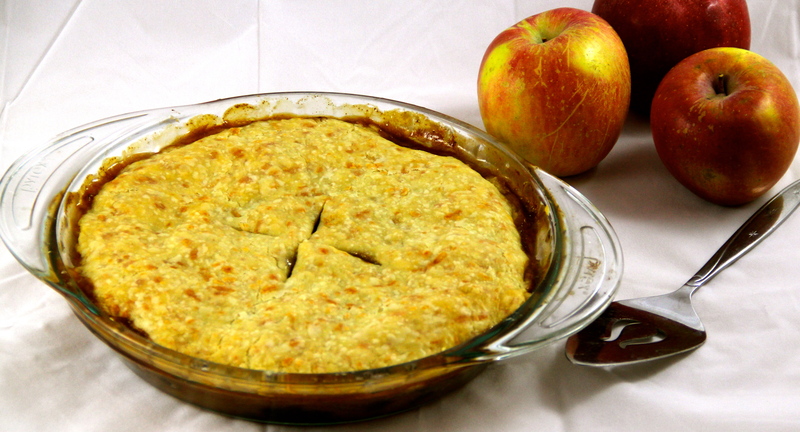 Bake the pie for 15 minutes, then reduce the oven temperature to 375 degrees and bake for an additional 20-30 minutes. When the crust is golden-brown and the filling is bubbly, remove from the oven. If the edges are browning too fast, loosely cover with aluminum foil. Cool the pie for at least an hour before slicing. I still vividly remember the day I got my mini tart pan. It was one of those dreaded days for a 6-year-old where my dad had to work, my brother had some sort of play date, and my mom had a meeting to attend at a friend’s house. I, of course, had no choice but to go to the meeting as well. Lucky for me, one of my mom’s friends was selling products from a baking company, and as we sat in the living room a catalog was passed around. Of course while sitting in a circle of friends, one of whom is presenting merchandise, there’s naturally some pressure to buy something. It’s one of those things, such as spending 45 minutes talking after having your plates cleared at a restaurant or knowing to never wear black socks with brown shoes, that my dad will never understand but is basically written into my mom’s genes. Since I was with her at this little marketing spiel, my mom told me that I could pick one thing out of the catalog to order. After much debate, I selected the miniature tart pan, which looked to be perfect for making adorable, tiny little tarts and muffins. 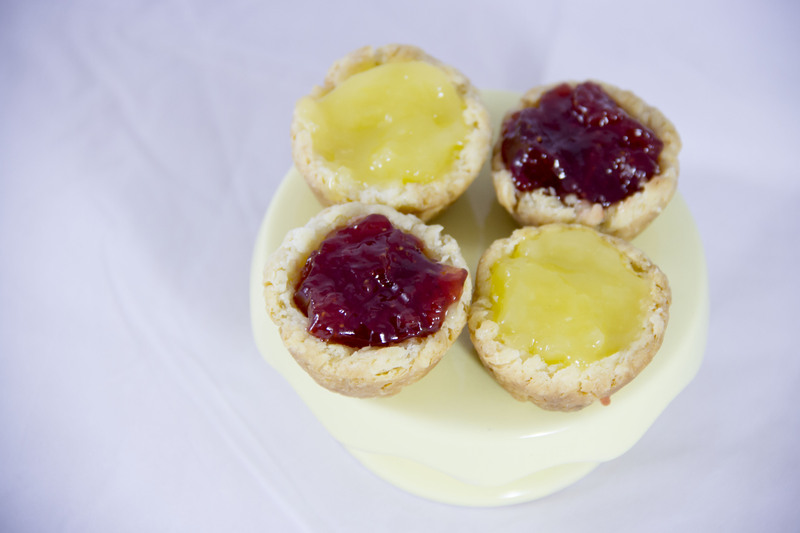 I loved the nursery rhyme The Queen of Hearts (who made some tarts, all on a summer’s day….any pre-90’s kids out there?) which probably contributed to my decision as well. Back then the main character of one of my favorite nursery rhymes was definitely a major idol of mine, right after MLK, Lindsay Lohan–who I thought was two different people thanks to the incredibly deceiving movie The Parent Trap–and Santa Claus. Only one of those idols still remains on the list. Can you guess who? A few weeks of excruciating patience later, my pan finally arrived! I remember slipping it out of its tight plastic wrapping (which required scissors and the closest available parent) and running my hands down its dark, smooth surface. The pan also came with a little recipe booklet and a wooden tart tamper, which I felt so sophisticated using. I can’t remember making any crust other than the Cream Cheese Crust recipe featured in the recipe booklet, which was about as simple as it gets: 1 cup flour, 1/2 cup butter, and 1/2 cup cream cheese. 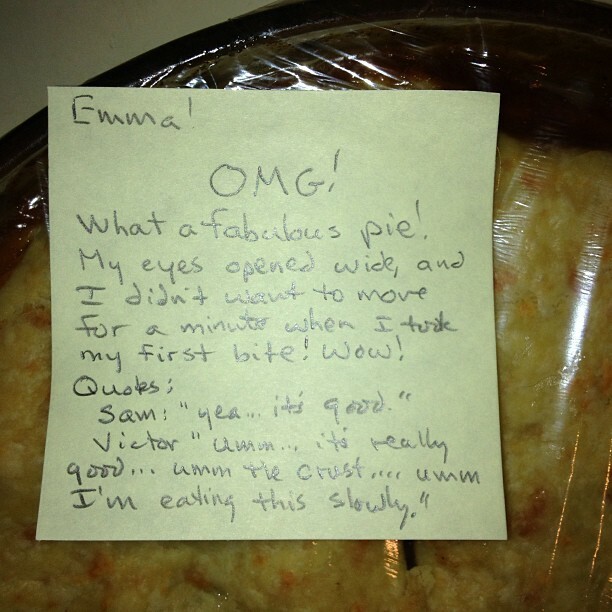 (I’ve adapted it a little in the recipe below.) 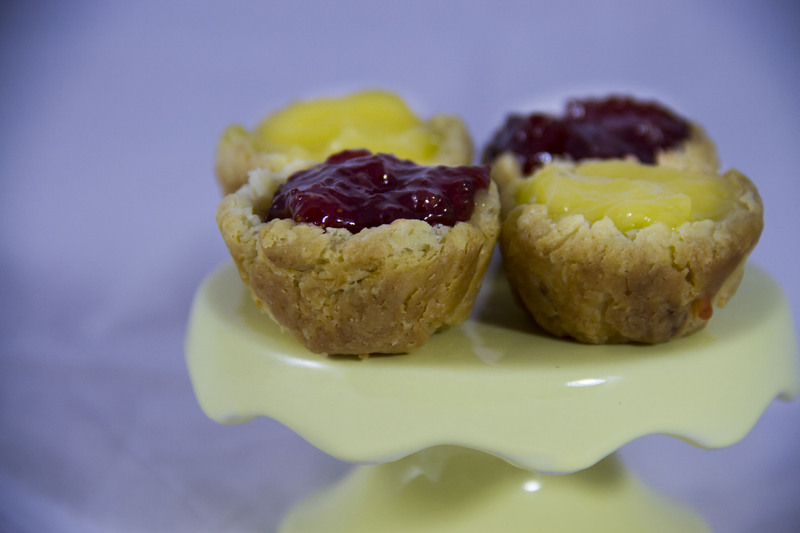 Over the years I made mini tarts again and again for tea parties, neighborhood gatherings, and on the occasional mid-morning whim. I experimented with different fillings, which included strawberry jam, chocolate kisses, lemon pudding, and my favorite, cherry preserves. For a while it was a 3-person project between my mom, my brother, and I. We would make the dough, roll it into little balls, squish the tart tamper into each cup (my favorite part), bake the shells, and fill the tarts. I learned the hard way that you should never be stingy when it comes to greasing the pan, that having a container of flour on hand for dusting the tamper in between squishes is an absolute necessity, and the charcoal-y flavor of burnt tarts can be nicely masked by an extra-large spoonful of lemon pudding placed in the center. What can I say…practice makes perfect! I just now realized that I was going to center this post around the fact that yesterday was Pi Day (3/14, get it? ), which is why I made the tarts in the first place (to bring to my Calculus class). Being me, of course I got sidetracked with my reminiscence of the good ole tart-making days. Whoops. Combine the flour and salt in a large bowl. Using a pastry cutter or two knives, cut in the butter and cream cheese until the mixture is crumbly. Pat the dough into a ball, wrap in plastic wrap, and refrigerate for at least 1 hour. When ready to bake, preheat oven to 400 degrees F. Grease and flour a 24-cup mini muffin pan or a regular 12-cup muffin pan. Divide dough into 24 pieces and roll into balls. Place each ball into a muffin cup and press into the bottom and sides. Bake for 10-15 minutes or until tarts are golden. (If using a 12-cup muffin tin, bake for about 20 minutes.) Cool for 5 minutes in the pan and then gently remove onto a wire rack. Cool completely before filling. 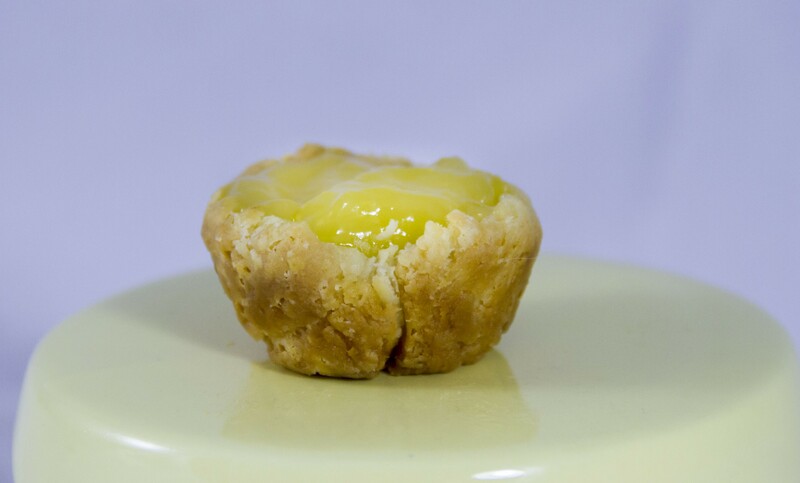 Lemon Tarts: After baked tart shells have cooled, fill each shell with store-bought or homemade lemon curd (recipe below). Chocolate Kiss Tarts: After the shells have baked for 5 minutes, remove from oven and press a chocolate kiss into each tart. Continue baking for 5-10 minutes or until crust is golden. Cool tarts for at least 30 minutes before serving so that the chocolate can re-harden. 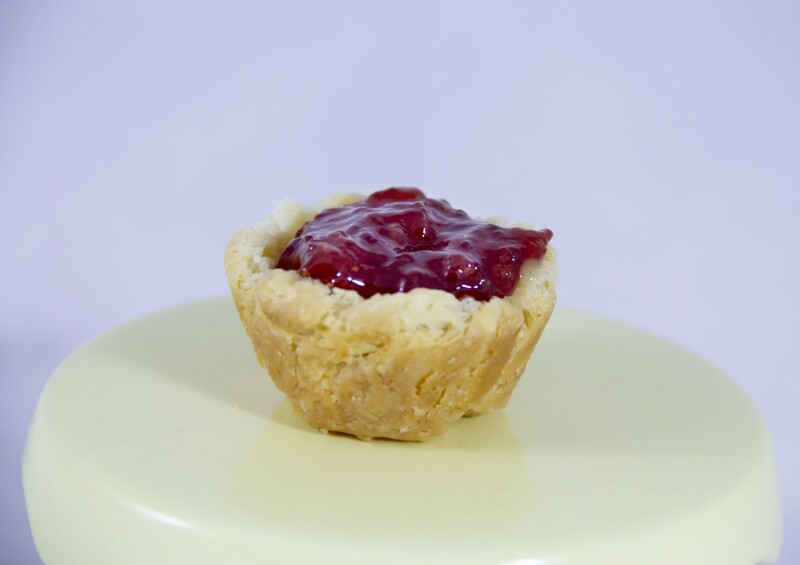 Cherry, Strawberry, or Raspberry Tarts: Fill the baked, cooled tart shells with fruit preserves. In a small saucepan, whisk together the sugar, cornstarch, salt, water, lemon juice, zest, and egg yolks. Add in the butter and place pan over medium heat. Cook, whisking constantly and scraping along the bottom and sides, until the mixture comes to a boil and thickens. Let it boil for about 30 seconds, stirring constantly, and the pour the mixture into a medium-mesh strainer placed over a bowl. When all the lemon filling has drained into the bowl and only the zest and large particles remain in the strainer, remove the strainer and let the filling cool to room temperature. Then place a sheet of plastic wrap directly onto the filling and store in the refrigerator. The filling can be refrigerated for up to 2 days. Even though fall doesn’t technically start for about three weeks, August 31st always feels like the last day of summer. This is the time of year when I start buying apples instead of peaches, trade my flip-flops for my corduroy TOMS, throw an extra blanket on my bed, and make the transition from summer to school. I’m a stickler when it comes to dressing, eating, and decorating appropriately for the seasons, so it makes me cringe when I walk through Michael’s in August and see scarecrows, hay bales, and pumpkins everywhere I go or when a Christmas song comes onto my iPod shuffle in the middle of July. My parents have learned that if they do things like wear reindeer sweatshirts in the spring or bring home a strawberry-rhubarb pie in the dead of winter, I may have a mental breakdown. Not that they let that stop them. Sigh. Anyway, yesterday I had the urge to make a pie. 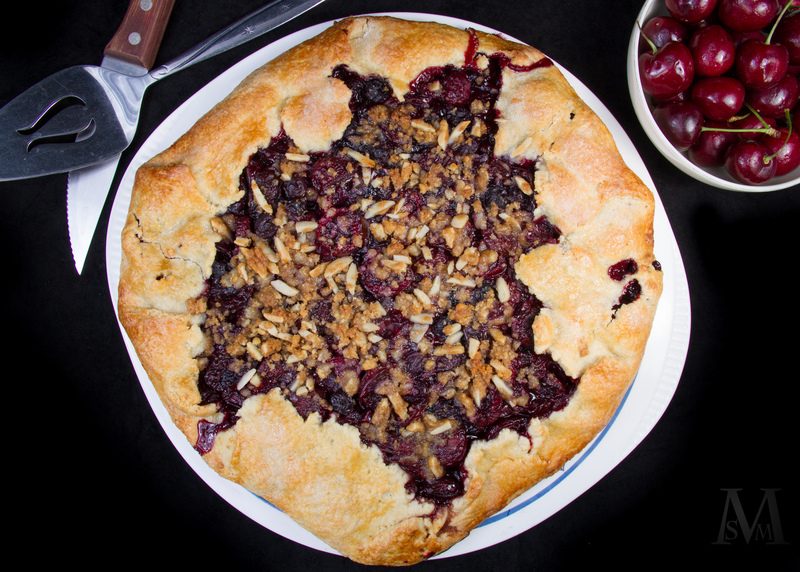 And because we’re currently in this weird transition-from-summer-to-fall stage I couldn’t decide between baking a summery pie, such as peach or blueberry, or a autumny (I feel like I make up a lot of words in this blog) pie such as apple or pecan. On one hand, I wanted to savor every last bit of summer that I could, but on the other hand I wanted to usher in my favorite season, fall, with a delicious pie. Yes, I know, you must be wondering how I manage to cope with the emotional distress of such weighty decision-making. It’s a wonder I can sleep at night. Well, I slept like a baby last night because I found the perfect solution to my pie-making ordeal. Instead of choosing between summer and fall, I chose summer and fall. In the form of blackberry-apple pie. It’s full of wild summer blackberries as well as tart, crisp apples and a myriad of fall spices. The best of both worlds. And it was especially fun to make since I picked the blackberries from bushes right down the road and the apples from our scrawny little apple tree. 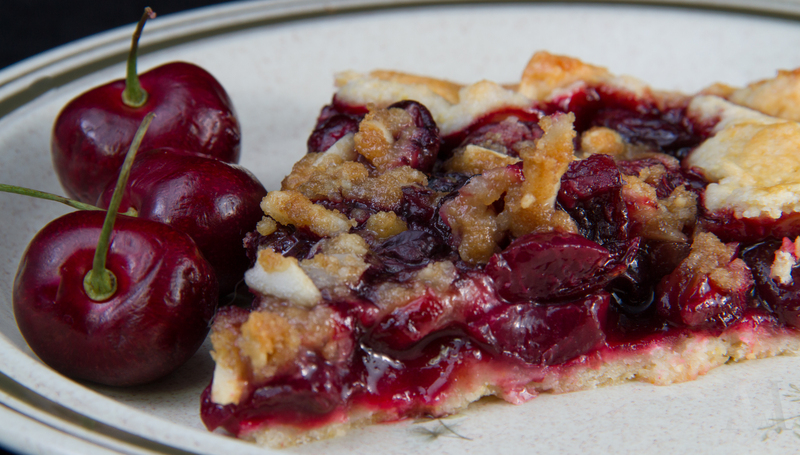 I love how this recipe uses a cinnamon-spiked crust, which is part of why I picked it out of the gazillion hits for “blackberry apple pie,” and I couldn’t be happier with my choice. 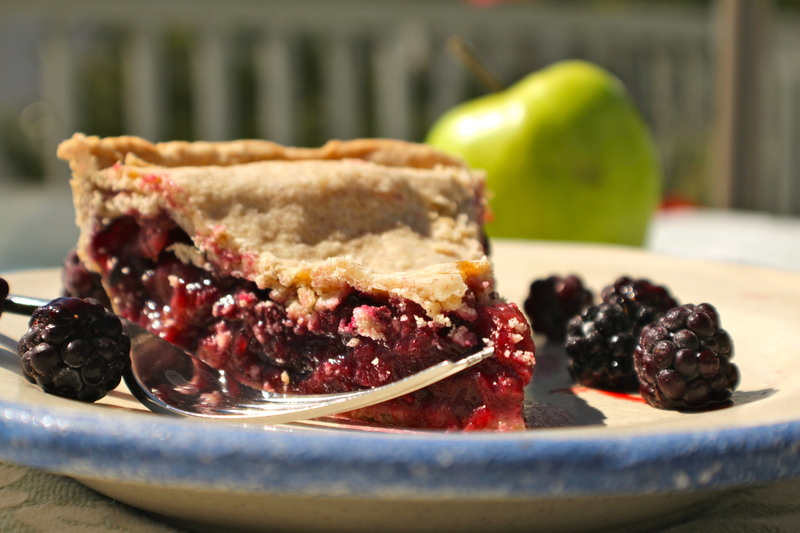 The sweet blackberries perfectly complement the tart apples, and a healthy dose of cinnamon pulls it all together. 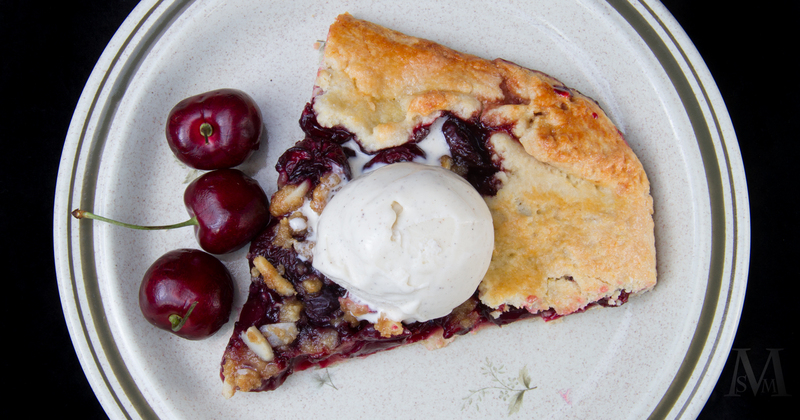 And a nice scoop of vanilla ice cream never hurts 🙂 This is the perfect transition pie to give a fond farewell to summer and a big hello to fall! In a large bowl, whisk together the flour, sugar, salt, and cinnamon. Using a pastry cutter or two forks, cut in the cold butter until mixture contains coarse crumbs. Add the ice water 1 Tbs at a time, tossing with a fork, until mixture begins to hold together when pressed. Form the dough into a ball, and divide into 2 equal pieces. Place one of the pieces in the refrigerator. On a lightly floured surface or between two pieces of waxed paper, roll out the remaining half of the pie dough into a disc large enough to line a 9-inch pie pan. Loosely roll the dough onto the rolling pin, and carefully transfer it to the pie dish. Unroll the dough and press it into the pan, trimming the edges so that there is about a 1/2-inch overhang. In a small bowl, combine the brown sugar, cornstarch, cinnamon, nutmeg, and allspice. 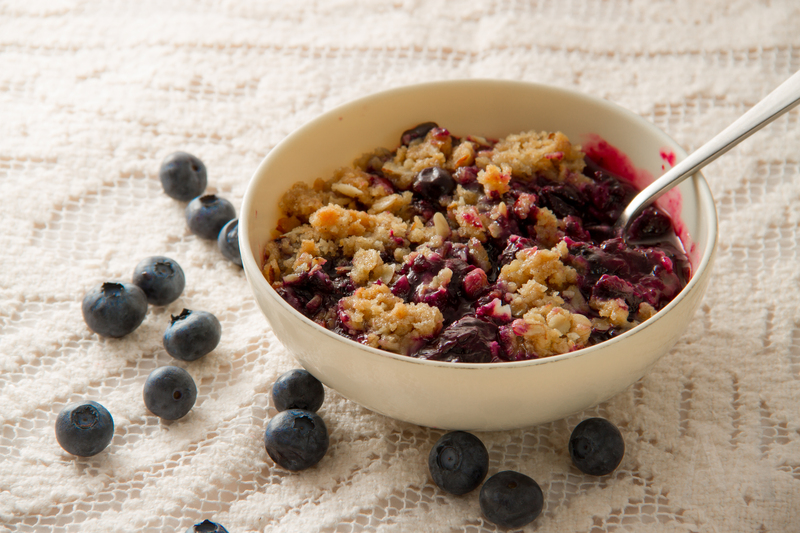 Place the apple slices and blackberries in a large bowl and sprinkle the brown sugar mixture over the fruit. Fold gently with a rubber spatula until the apples and berries begin to release their juices. Pour the filling onto the crust. Roll out the chilled half of the pie dough and place it on top of the pie. Trim, seal, and crimp the edges. In a small bowl, whisk together the egg and warm water. Brush the egg mixture onto the top of the pie. (This will result in a crisp, golden crust.) Sprinkle sugar onto the crust if desired. Cover the edges of the crust loosely with aluminum foil. Bake in a 450 F oven for 10 minutes. Decrease temperature to 350 degrees and remove foil. Bake for an additional 40-50 minutes or until crust is golden-brown and filling is bubbly. Store leftovers in the refrigerator, loosely covered. I once read an article proclaiming that memories can be triggered most easily not by sight or sound, but by smell. This surprised me at first, as I thought that familiar sights would cause the most remembrance, but as I thought about it I realized that scents have an uncanny way of bringing back memories. Whenever I carve into a fresh pumpkin in the fall, I’m immediately taken back in time to Halloweens of the past where I worked so long and so hard to scoop out all the membranes from my pumpkin because I wanted to do it myself; I’m taken back to the bone-chilling Halloween nights in Colorado where I’d stay up way past my bedtime and thrill at the satisfying thud as candy after candy was dropped into my plastic pumpkin basket. The same thing happens every Christmas when I inhale the scent of fresh pine needles and feel the nostalgia of Christmases come and gone, and again in the spring when I rub the season’s first dandelion between my fingers and smell the sticky nectar which brings back memories of weaving necklaces out of the yellow weeds as I sat in my old backyard. Being a person who possesses a strong aversion to change (which I’m working on 😉 ), I find a certain comfort in knowing that no matter how much time passes or how many miles I travel, there will always be the familiar scent of pumpkins, pine trees, and dandelions, among many other things, to make me feel at home. When I moved to my home in Washington nine years ago, I was ecstatic to find that our island is home to dozens upon dozens of wild blackberry bushes. At the end of each summer, when the sunsets are gradually coming earlier, the nights are starting to get cooler, and the beginning of school is just around the corner, the blackberries reach their peak. Along nearly every street there are tangles of blackberry bushes studded with dark berries in varying degrees of ripeness. One of my favorite ways to spend the last few nights of summer is to go blackberry-picking along my road. I tend to be a little too self-sacrificial when it comes to getting every ripe berry I see. I always wind up with scratches up and down my arms, a handful of lost hairs, and several minutes lost to extricating myself from a cage of thorns. But it’s all worth it when I end up with a bucketful of sweet, juicy berries! I can never resist the temptation to stick my nose over a bucket full of fresh-picked berries and inhale their sweet scent. 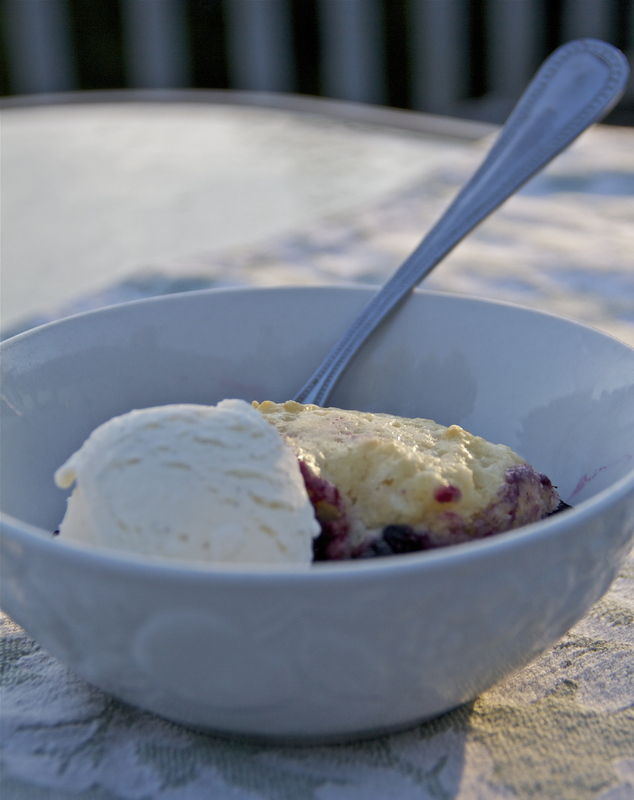 Memories of warm summer days are dredged up from the past, and I can recall baking numerous blackberry pies, picking berries with friends, and savoring a bowl of blackberries over vanilla ice cream on the night before the first day of school. The smell of wild blackberries will forever be equivalent to end-of-the-summer activities on my little island. While I love blackberry pie, sometimes a cobbler just hits the spot. 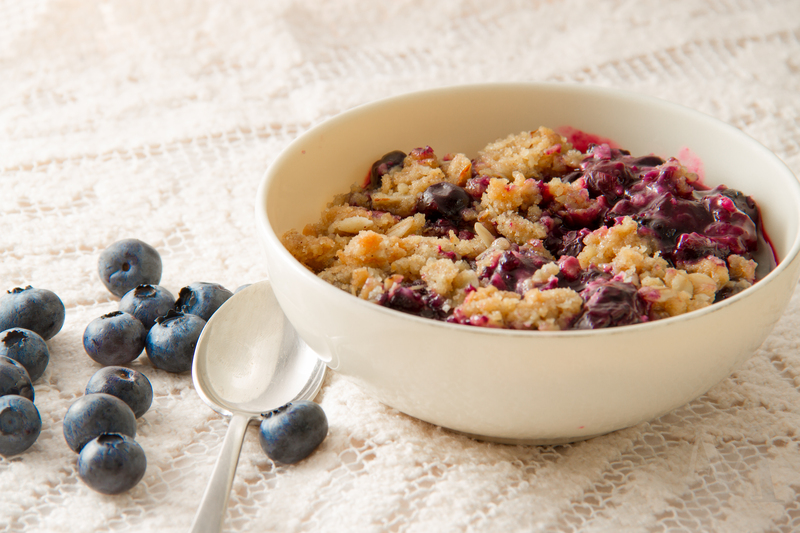 Cobbler is much easier and faster than making a pie, and you get a higher ratio of berries-to-topping (whether it’s crust or biscuit) in a cobbler. 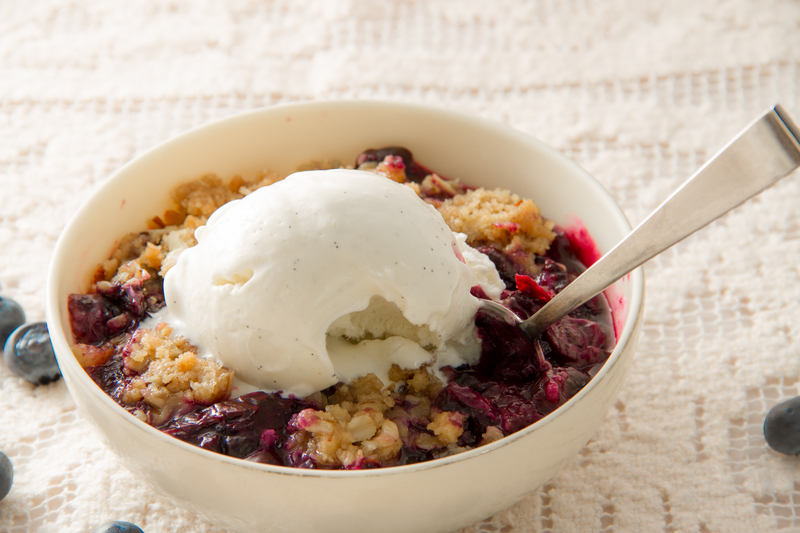 The other night I served this blackberry cobbler for dessert and savored every bite of its tender biscuit topping and sweet blackberry filling, made complete with a scoop of creamy vanilla ice cream. 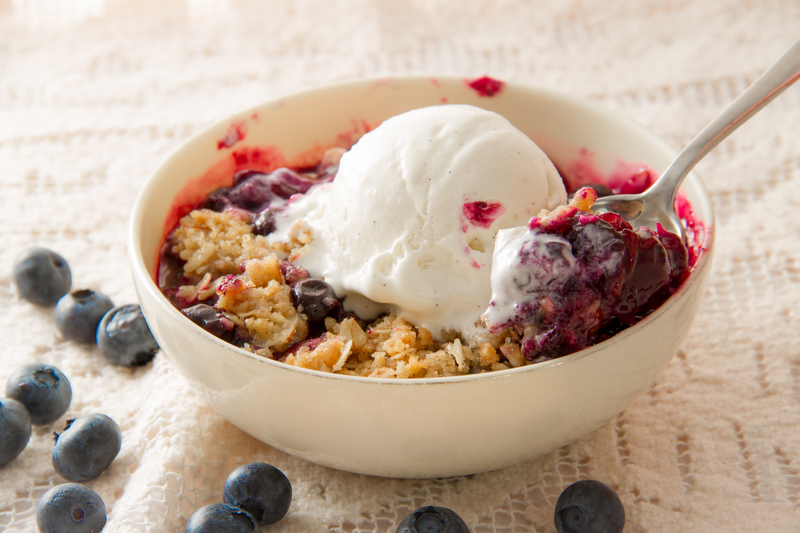 The transition between summer and fall is always bittersweet, but this cobbler will tip the balance closer to the sweet side! Stir together sugar, lemon zest, lemon juice, cinnamon, and cornstarch in an 8″x8″ baking dish. Gently fold in the blackberries (if using frozen, make sure they’re thawed and drained) until berries are coated with the sugar mixture. Allow to sit at room temperature for 30 minutes so the blackberries can release their juices. Preheat oven to 350 degrees Fahrenheit. In a medium-sized bowl, whisk together flour, 3 Tbs sugar, baking powder, and salt. Drop the cubes of cold butter on top of the flour mixture and cut in using a pastry blender or two forks. When the mixture resembles coarse crumbs, make a well in the center. Crack the egg into the center and whisk it slightly. Add the milk to the well and stir until moistened. Drop the biscuit mixture by large spoonfuls on top of the berries. (I like to divide it into 9 pieces to make serving easy.) 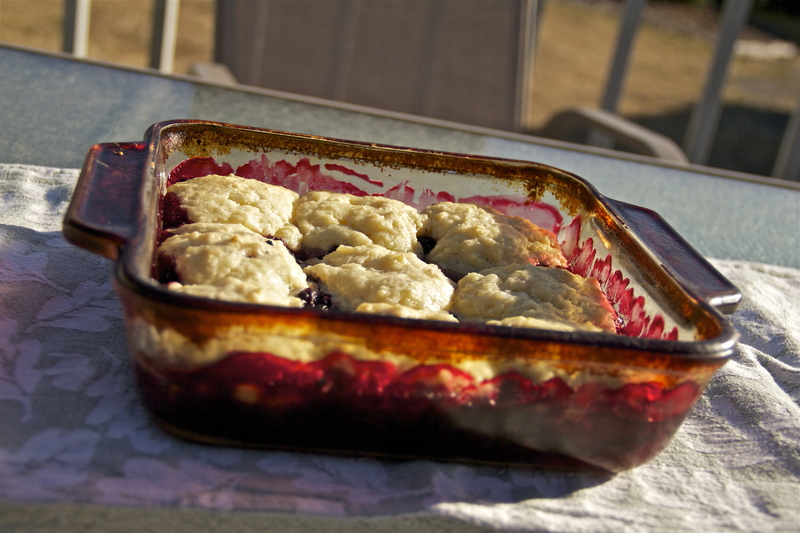 Bake for 30-35 minutes or until biscuits are light golden and berry filling is bubbling. 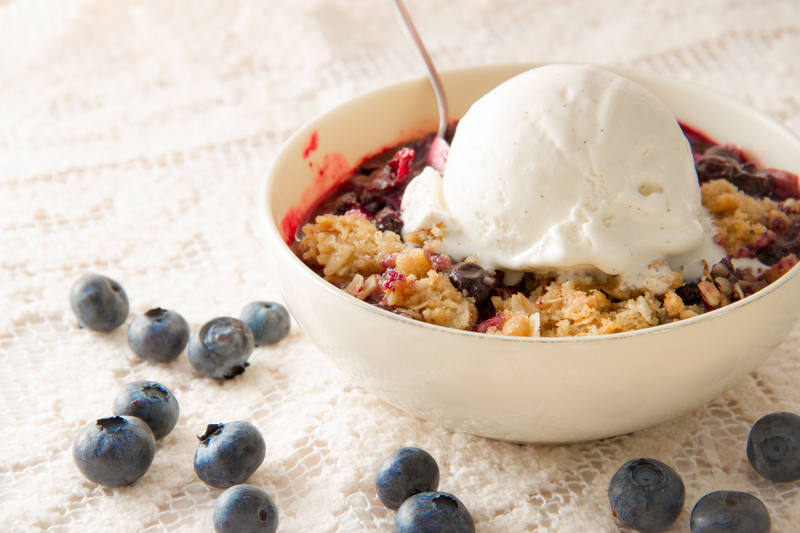 This is best served with a big scoop of vanilla ice cream!